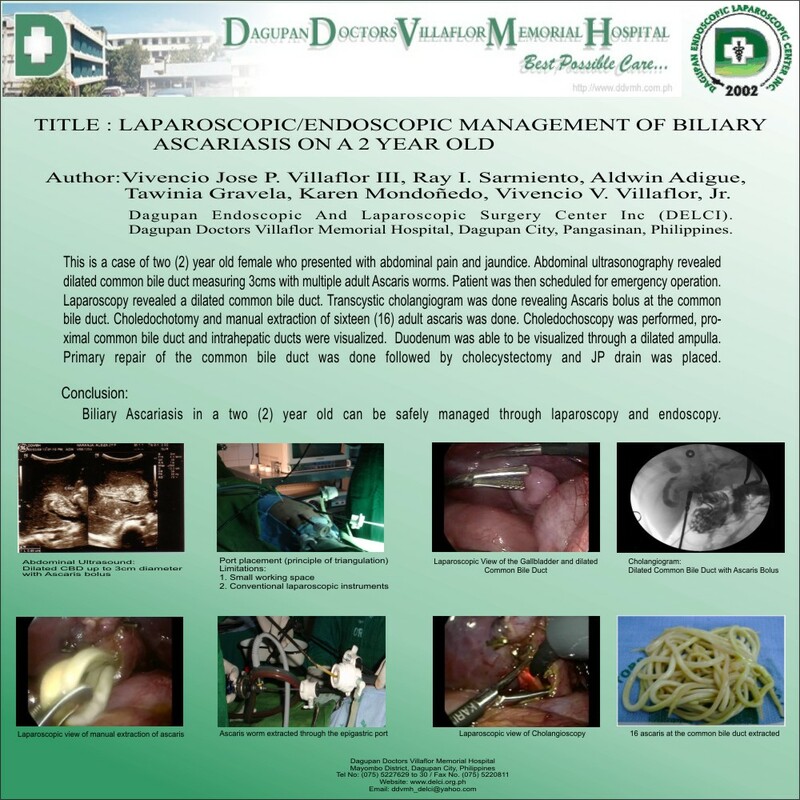 Objective: To present a case report of a 2 year old female diagnosed with biliary ascariasis and was managed by laparoscopy and endoscopy. This is a case of a 2 year old female who presented with abdominal pain, fever and jaundice. On abdominal ultrasound, there was tubular echogenic structures at the common bile duct. Working diagnosis was biliary ascariasis. Patient was scheduled for laparoscopy. Intraoperative cholangiogram revealed ascaris bolus on the common bile duct. Choledochotomy was performed and manual extraction of 16 adult ascaris was done. This was followed by cholangioscopy and clearing of ascaris carcass using biopsy forceps. This was followed by primary repair of the common bile duct and cholecystectomy.